In order to accommodate the largest number of runners, please seed yourself according to your pace. If you plan to walk or push a stroller, please place yourself toward the back. Your time doesn’t begin until you cross the start line. 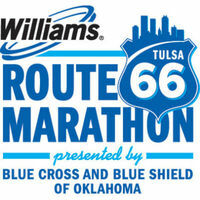 There will be three water stops along the 10K race course and one water stop at the halfway point of the 5K. Post-race food and water will be available at the finish line. The best parking is in the VON’s parking lot on Laurel Canyon and Coldwater, or the Studio City Plaza parking lot (Trader Joe’s, Du-Par’s) and walk across the street onto the lot. The CBS Parking lot on Redford is also available, but is prone to traffic jams after the race. Remember, you will need a photo ID to enter the studio lot and will need to pass through a metal detector.